Spouse: Ann Robinson, then Elizabeth Osborne Smith (14 August 1810 - 7 May 1905), daughter of Yeamans Smith and Ann Osborne Marye of Fredericksburg, Virginia. He did not use the Philip part of his name, but went by "Augustine L. Dabney." He graduated from the College of William and Mary and established himself as a lawyer in Gloucester, Virginia. 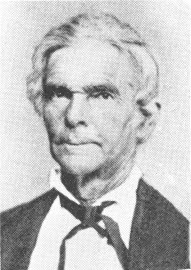 The depression of the 1820s and 1830s drove him to move from Virginia to Raymond, Mississippi, in 1835 with his brother Thomas Smith Gregory Dabney and other relatives, and he became a lawyer and Judge of the Probate Court for Hinds County, Miss. For a time, he was joint owner and editor of the Raymond Times newspaper. In news stories he was referred to as "Judge Dabney." He moved to Santa Rosa, Calif., in 1877, to live with his daughter Elizabeth Porter. His brother Thomas owned a large plantation, Burleigh, near Raymond, and was the subject of a book by his daughter Susan Smedes, Memorials of a Southern Planter (Cushings and Bailey, Baltimore, 1887). During 1-1/2 years of the Civil War, the Augustine Dabney family occupied Burleigh after Thomas Dabney fled with his slaves to Georgia as Grant's Army moved through Mississippi. Augustine's sons Frederick, Thomas, and Marye served in the Confederate Army and survived the war. Frederick (married Agatha Moncure) and Thomas (married Frances Bowmar) were civil engineers; Thomas became known for building the system of levees on the Mississippi River. Marye (married Elizabeth Marshall) was a lawyer in Vicksburg. Ann ("Nannie") and Martha never married. Elizabeth married Col. William Wood Porter and they spent their lives in Santa Rosa, California, where Porter was a lawyer and judge. Mary married Lt. William Lynch Ware after nursing his wounds during the war. 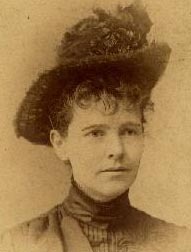 Mary wrote three books on her worldwide travels. John (married Virginia Meade, then Virginia Grant) became a physician in Mississippi and Alabama. As for Letitia, see the next entry. Philip Augustine Lee Miller, 28 Aug 1894 - 10 Aug 1981. Letitia did not use the "Anna" part of her name. Here the trail enters our branch of the Miller line through Letitia Dabney Miller's fourth child Earl Van Dorn Miller.